JIMS Engineering Management Technical Campus (JMTEC)- School of Law , Greater Noida is conducting a One Day National Conference on ‘Emerging Trends in International Law: Issues & Challenges‘ on 21st April 2018, at JIMS Engineering Management Technical Campus (JMTEC)-School of Law and seeks your participation in this intellectual endeavour. International Law seeks to achieve peaceful and sustainable coexistence worldwide, however, the attainment of the same in the present scenario is a serious global challenge. We need to rethink about the current International Law, its institutional and normative structure, functions and their shortcomings. It is a known fact that none of the nations can survive in seclusion and there is an obligation to establish a well knitted inter-state relationship. There is a constant strife between new international economic order and traditional interpretation of international principles. Identification of Customary International Law. Issues related to Private International Law. Rise of Non-State Actors and increase in International Humanitarian Crisis, International Refugee Crisis. Issues of developing and developed countries divide in International Trade and Investment Treaties. Issues of Environment and Climate Change which is affecting the World Food Security and Public Health at large due to Global Emissions. Codification and Progressive Development of International Law for better future and International Relations. Legality of International Application of Bit coins and Cyber Governance. Towards uniform International Law in Cyber Space and Data Protection. Data Protection and Security Law in International Regime. Relevance of WTO in the Multilateral Trading System. Overlapping of National Treatment and MFN Clause due to Multiple Bilateral Investment Treaties. Modern Challenges in Investment Disputes. Issues and Challenges in Modern Investment Treaty of India and other countries. Towards Uniform International Environment Treaty: Challenges After Paris Agreement. Role of International Court of Justice in the development of International Environmental Law. Rights of Refugees in Developing Nations. Role of UNHCR in Refugee Protection. Offshore Energy: Solar Parks and other Amenities from Legal Perspective. Maritime Safety and Security: Legal Implications to Ships and Cargo. 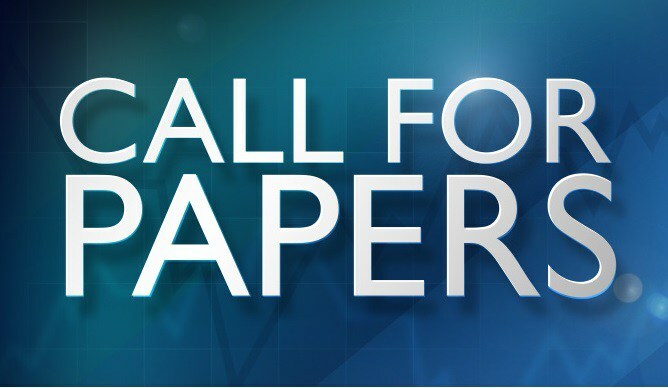 Abstract and Full paper should be E-mailed at: [email protected]. Abstract should not exceed more than 300 words and must contain rationale, objective, methodology and the central theme. Abstract and Paper should be of in Times New Roman with Font size 12 for main Text and 10 for footnotes. Maximum word limit for Research Paper is 3500 words. ILI mode of Citation should be followed. Papers to be discussed should be the original work of the author. Joint authorship is permitted, subject to a maximum of one co-author. Three best paper presentations will be awarded certificate of Appreciation. The Selected Papers will be published in the form of Book of Proceedings. Next Article Model United Nations @ MNNIT, Allahabad [March 22-24]: Registrations Open.